Kathy Griffin is wading back into the world of comedy almost one year after a Donald Trump photo scandal derailed her career. The comic, 57, announced Friday her first string of U.S. tour dates since she was photographed holding a bloodied, decapitated Trump head in an image that went viral and sparked massive backlash last May. "I'm dipping my toes into touring again even though the Trumps and nobody wants me to work again," Griffin told Bill Maher on "Real Time." 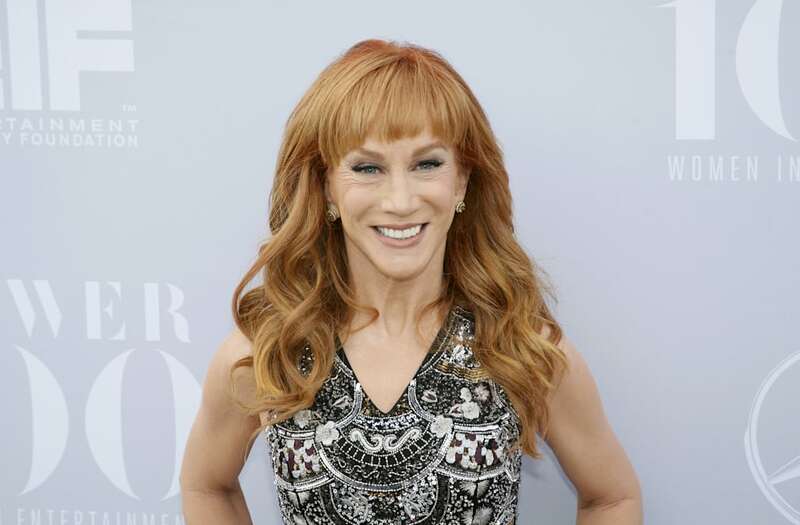 Griffin added that she had just booked a show at Carnegie Hall in Midtown, as well as one "in Trump's backyard" at the Kennedy Center in Washington, D.C.
She later added dates at multiple other U.S. cities including San Francisco and Boston as well as several Canadian venues. Griffin spent a chunk of 2017 touring in Europe. "Donald Trump Jr. goes on 'Good Morning America' and goes, 'We don't just want to ruin Kathy Griffin's career, we want to decimate her'… I'm not decimated" Griffin told Maher to much applause as she waved two middle fingers in the air. The photo not only got Griffin booted from her New Year's Eve hosting duties on CNN, but launched a two month federal investigation by two departments from the Department of Justice. Griffin's stunt also led to the termination of several high-profile friendships, like Anderson Cooper, and made her a pariah among television companies like Netflix, Bravo, E! and NBC, all of whom she previously told The Hollywood Reporter refused to work with her.